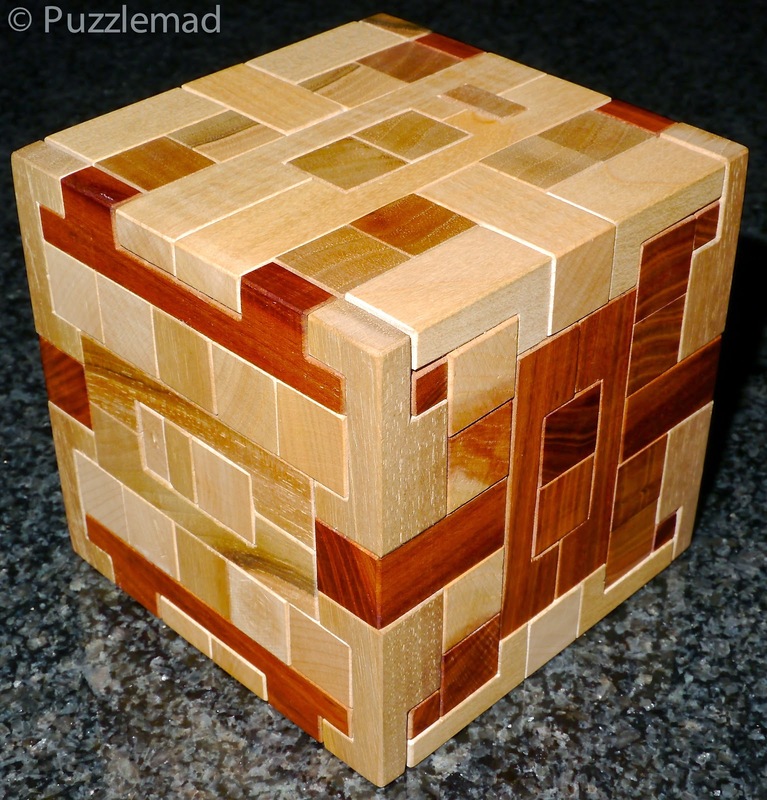 Puzzlemad New Additions: Mrs S loses the plot! Mrs S loses the plot! Bill Cutler's 66 piece cube - gorgeous! 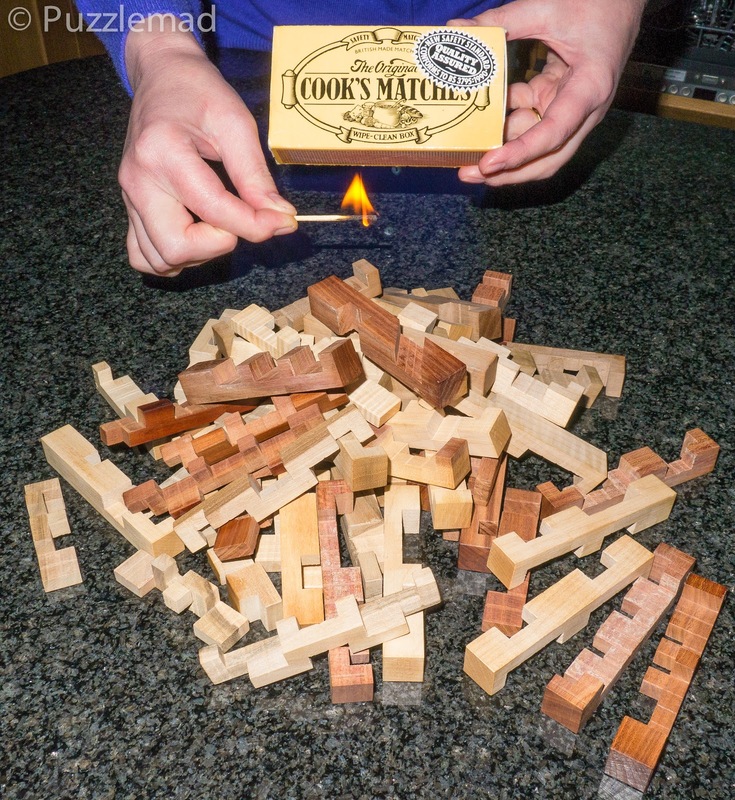 Bill Cutler's 66 piece cube is one of the most epic pieces of puzzle design and manufacturing ever. The originals were made in small numbers for Bill by Jerry McFarland and another very small run was made by Josef Pelikan's workshop. A year ago I managed to acquire a copy of Josef's and hence did not buy the copy that Eric Fuller recently produced. I have been too frightend to do it since then and have only been spurred on by Allard's recent review. When I wondered aloud how I was ever going to put it back together, the present Mrs S suggested an alternative solution! Noooooooo! Mrs S finally loses the plot!